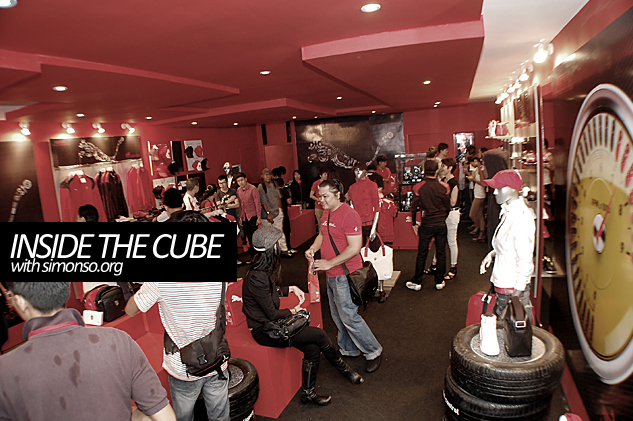 Today at Pavilion, Kuala Lumpur.. Puma launched its motorsport collection and the biggest pop-up store attraction located at the walkway next to Pavilion's main entrance. 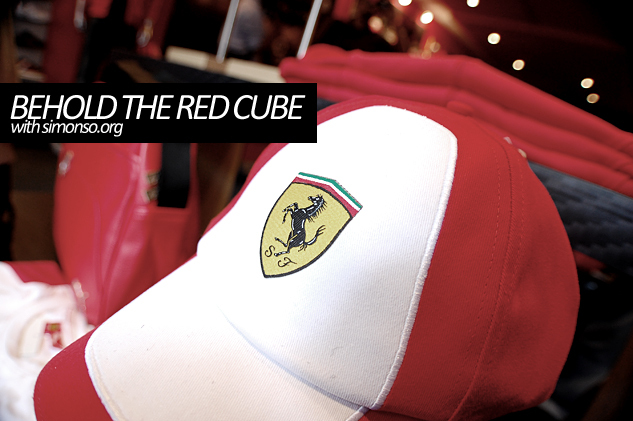 The Red Cube will showcase the latest Puma Motorsport collections that are branded with the stylish new Ferrari Shield emblem, with merchandise ranging from apparels, footwear, bags, accessories and watches. 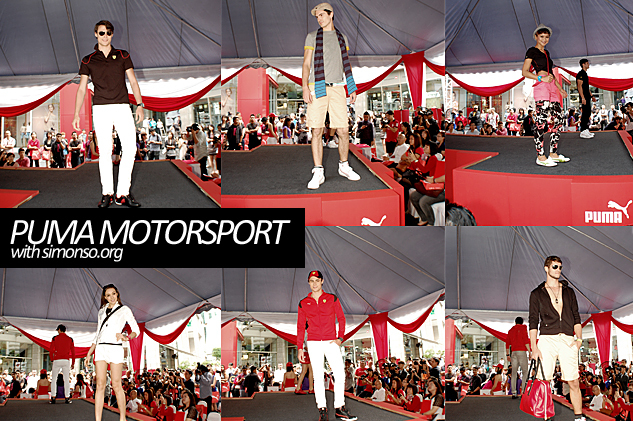 They will be there from 7th to 25th March 2012, so go on and check out the latest Puma Motorsport collections or keep visiting my blog or follow my instagram (simonso) for more latest Puma apparels. PUMA also announces MERCEDES GP PETRONAS and BMW MOTORSPORT partnerships for footwear, apparel and accessories in a multi-year partnership agreement. This also means I can actually get my very own bmw shoes, woohooo! So back to the images, those are shots of the interior and later there was a fashion show of the latest collection. I've got that that that and anybody who came today got themselves a new Ferrari belt. 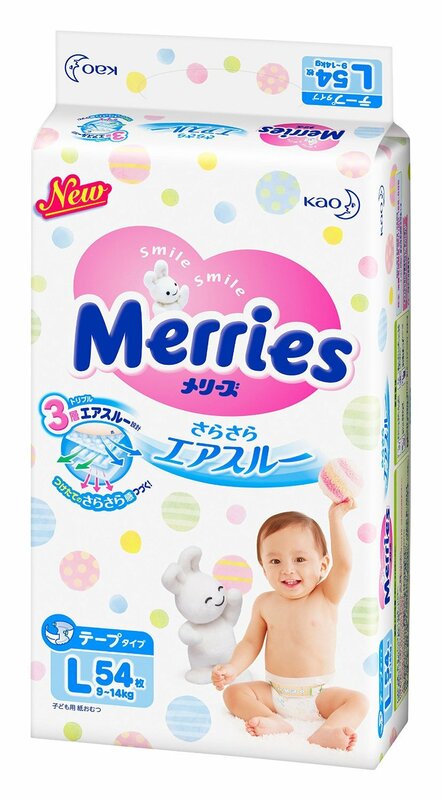 Haaaaaa! 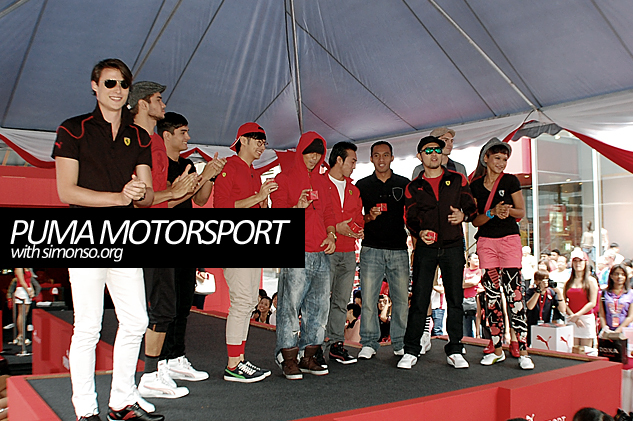 And of course, not forgetting the Puma friendly girls to assist us throughout the event. 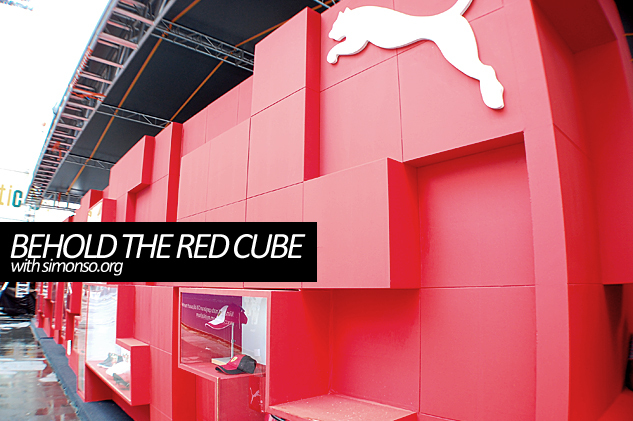 Head on down to the PUMA Red Cube at the Pavilion any time from now until 25 March 2012.